This extreme quality ICE pen is our free gift to you when you order an ICE handbook, ICE manual, ICE tee shirt, or ICE mug! "Get 'em while they're cold!" 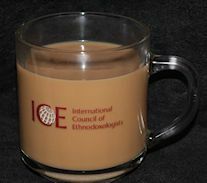 This extreme quality ICE pen is our free gift to you when you order an ICE handbook, ICE manual, ICE tee shirt, or ICE mug. Completely free with your order--an amazing value! I am extremely awesomized whenever I hold my official ICE pen. My hand deeply experiences this visceral connection to the whole ICE network around the world and rejoices in a special communion with my globally virtual tribe. This is the pen I reach for when I want to reach for the extraordinary. My best prose rushingly flows from my fingertips through this amazingly amazing implement of description. Oh, bestie mine, may I ever prove worthy!